Ever wish you had some car-free streets in your city or town? At least once or twice a week? More and more cities across the U.S. and across the world are getting them, with the temporary street closings (i.e. once a week or once a month) commonly referred to as ciclovias. In the past 6 years or so, North America has gone from 11 cities having ciclovias to 70 cities having them. To help even more cities and towns go car-free, the Alliance for Biking & Walking and the Street Plans Collaborative have teamed up to create a report highlighting best practices from 67 of those localities. 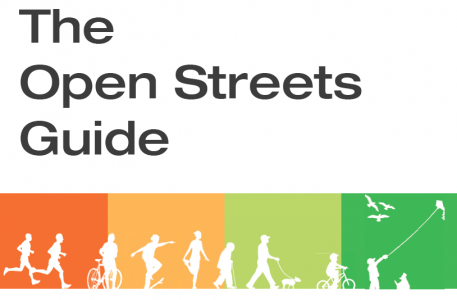 The Open Streets Guide was released just last week. “The guide breaks down U.S. and Canadian initiatives into seven model types, based on how they’re funded and who’s in charge, and zeroes in on best practices taken from initiatives in North and South America. It also includes some fascinating statistics, like average route length (3.95 miles), population served (28 percent of open streets occur in cities of less than 100,000 people) and funding (52 percent of open streets initiatives are paid for by a public-private partnership),” Streesblog DC summarizes. For more, check out the Open Streets Guide, the Streesblog post linked above, or the interactive Open Streets website.